The placement of the GE3000 Bond I has been a resounding success with many investors seizing this opportunity due to its attractive interest rate and our solid business model. When the subscription period closed on 29 September 2015, €4.4 million had been generated – a very good result. We're extremely satisfied with this amount, which underlines that we'd come up with a very attractive green proposition for the capital market and a large number of investors. We attach great importance to security and reliability in order to be able to offer investors high returns, including in the long term. The GE3000 Bond I is a fixed-rate bond. Investors earn 6% interest per annum over a three-year term. This interest will be calculated annually and paid out to investors for the first time on 1 December 2015.This new capital creates a firm foundation for our planned investments. We would like to thank the investors for the confidence they have shown us. It's thanks to them that a large number of projects in Germany, France and Italy are now under construction and in some cases about to be completed. 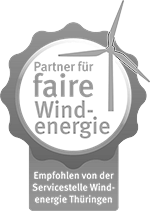 In addition to Kallmünz-Brenntenberg II Wind Farm, the two solar parks in Wanzleben and Schönefeld have also been financed by the bond. In addition, work is now underway on solar parks in Saint Léger-sur-Vouzance (France) and Nissoria (Sicily, Italy). Green Energy 3000 expects to increase its project portfolio by about 300 MW over the next two years as it expands its core markets outside Europe. You too can choose from various models in order to fund and profit from our renewable energy ventures. Don't miss this opportunity to invest in green energy – and join the sustainable, green economy!